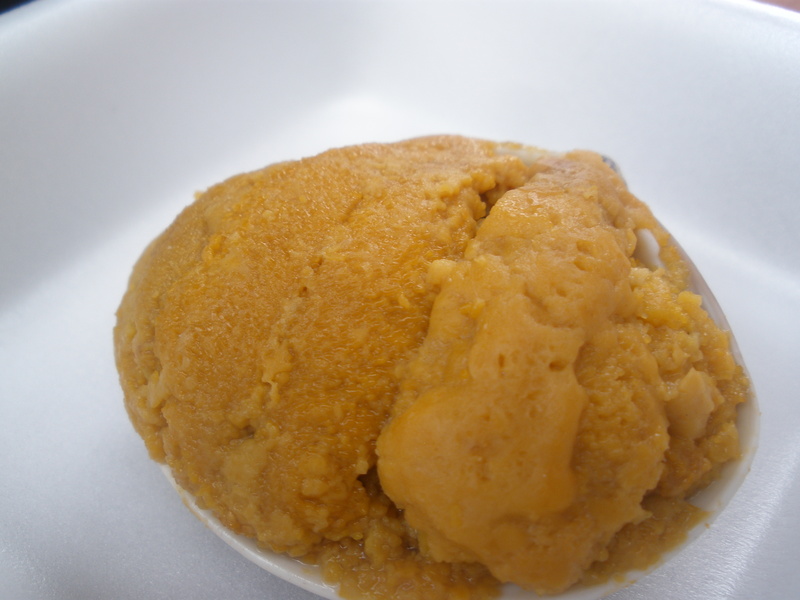 The fragile, edible portion of a sea urchin is referred to as uni, and is a Japanese delicacy. The appearance of uni in any form can be a bit intimidating for new tasters, as uni really doesn’t resemble anything at all in Western cuisine. 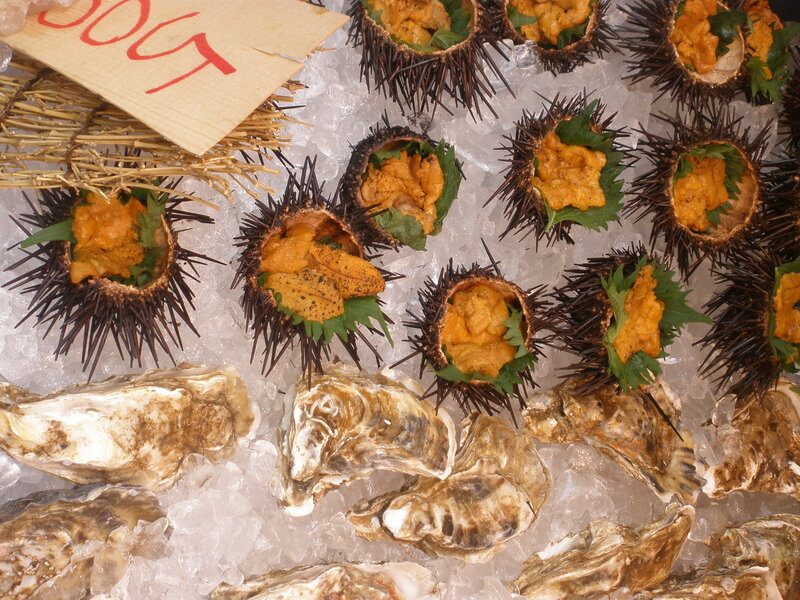 It’s unique qualities, ranging from its bright orange color to its soft, almost liquid texture, are precisely what make uni such a high demand item for connoisseurs. 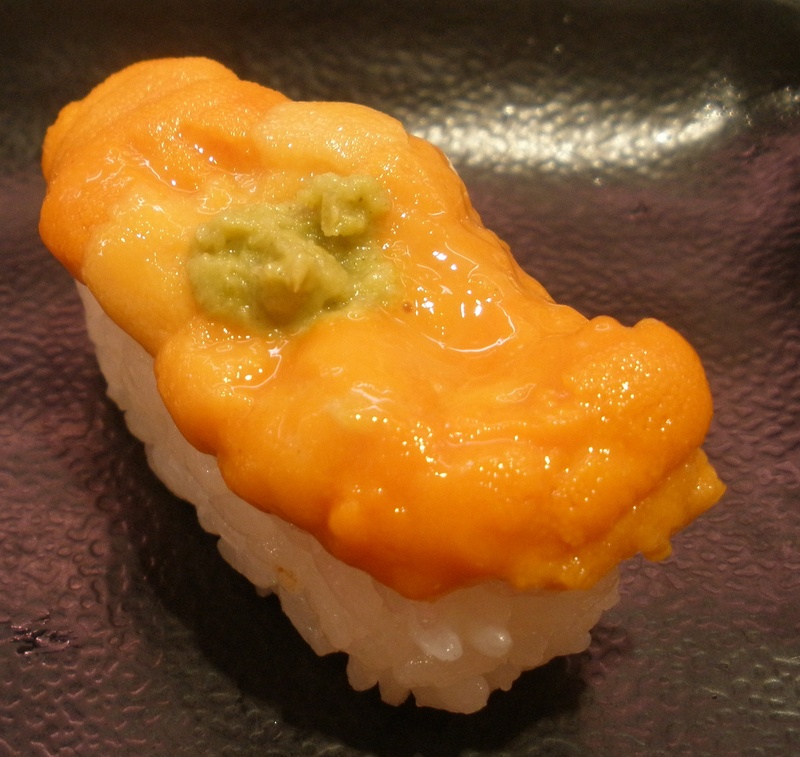 When enjoyed raw over rice as nigiri sushi, uni has a buttery feel and a mildly sweet, briny taste. Fresh, raw uni is more expensive than many other sushi items, but the experience is worth purchasing a taste if the opportunity presents itself! Uni can also be enjoyed as part of many cooked preparations, as well. 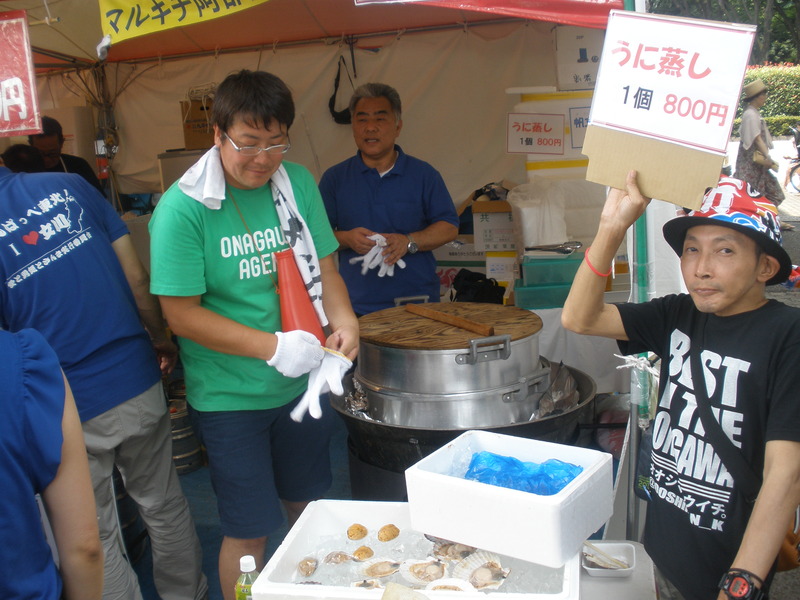 At a boisterous Vietnam Festival in Tokyo’s Yoyogi Park, vendors were selling steamed uni, shown below. When steamed, the color is more muted and the texture more crumbly. I found steamed uni to have a mildly smoky flavor, and enjoyed steamed uni more than raw. When traveling to exciting, new destinations, don’t be afraid to sample locally popular foods. For those of us here at Crowded Earth Kitchen, tasting regional specialties is one of the most exciting parts of exploring our crowded earth! This entry was posted in Travel and tagged Cooking, festivals, Food, japan, sea urchin, sushi, tokyo, Travel, uni, Vietnam. Bookmark the permalink.